BuilderAll is an all-in-one internet marketing tool. And I mean "all in one". It has a website builder with a variety of funnel templates. It has an email marketing tool with autoresponder, video creator, social post management tool, push notifications... It would rather be easier to list up what it doesn't have. In my BuilderAll review I'll focus on the main features. What's missing from BuilderAll is a good navigation... It's a little crazy. But I'll talk about it later. The site builder is without a doubt the best feature. From the price of $9.90 per month, it allows you to create unlimited number of websites. It's equipped with plenty of professional looking templates; various lead capture pages, sales funnel sets, webinar page, members-only page, "Under Construction" page, etc. Alternatively you can create your site from a blank canvas, but there's no reason why you should, when all the templates are fully customizable. But it's not easy to find the best template, because BuilderAll actually has 3 x separate website builders. They're 'almost' identical, and each of these 3 site builders has its own template section. So you want to check all the 3 site builders to decide which template is the best for your needs. The 3 site builders are all WYSIWYG drag and drop editors, and the main difference between them is the responsive view. "Pixel Perfect" editor - BuilderAll's original site builder (by the looks of it). It allows you to switch only between desktop view and mobile view. So the templates for Pixel Perfect may not be tablet-friendly. "Responsive Builder" - All the templates are supposed to be responsive to all devices, so the editor has a desktop view only. "Mobile First Builder" - All the templates are made primarily for mobile device, so the layouts are vertical. You can switch between mobile view and desktop view. What's really confusing to me is the category filter/menu. The categories are pretty at random ("Landing Page" "Health & Beauty" "Local Business" etc). All three site builders use the same category menu, but not all categories are applicable for all the three builders. For example, you want to create an e-commerce website, and naturally you want to target mobile users because mobile use is the mainstream. And you want to create a sales funnel. So you go to "Mobile First Builder" then click "Sales Funnels" in the category menu - nothing's there. Mobile First Builder doesn't have a sales funnel template. I really wish BuilderAll would tidy up the template menus a little. The builder/editor itself is easy to navigate. You can easily find what's where, and drag & drop without time delay. You might experience an occasional few seconds of freeze, but it happens with other WYSIWYG builders like Wix. What's good is it clearly indicates the area that will be invisible in mobile device. So you can adjust it, for example if an image is too large for mobile, you can drag a corner to resize it. Also right-click enabled; in order to link a button to an external page for instance, just right-click the button, then click "Action" and insert the URL (or any of your other pages from the drop-down menu). "BuilderAll Business" plan ($49.90 per month) - also connect up to 15 domains. MailingBoss is an email marketing tool. It's great the fact that one toolkit allows you to create a sales funnel with a lead capture page AND let you send emails. But it's not the best...unfortunately. 'Subscribers' and 'Lists' are in separate main menu, whereas usually a list of 'subscribers' should be found under 'lists'. 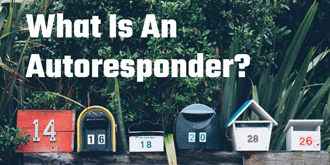 You can't see the email sequence of autoresponder at a glance. As you randomly create multiple number of emails, they'll appear under "Email Sequence" section randomly, so you can't easily tell in which order the emails should be sent. You control it in "Workflow" screen instead. I like the simplicity of MailingBoss's email template. 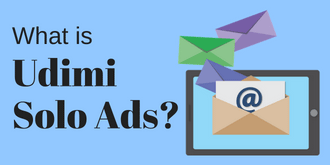 Unlike many other email marketing software, you don't pick a ready-made template from hundreds of variations. Instead you just drag & drop the blocks from the left-hand menu. What's great is, the block examples are all visual (rather than just descriptions such as "text with inline image" "button", etc). So it's easier to tell which blocks you want to add, you know what I mean? If you don't want anything but a simple paragraph text and just add hyperlinks, you can also do that easy. Autoresponder Day 1: select the leads who clicked the link in the email and send an extra email only to them. Autoresponder 5th Email: move the leads who didn't click the link in the last 3 emails to another list, and start sending another autoresponder sequence. 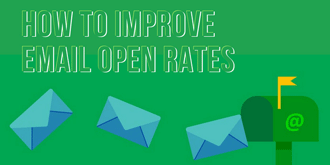 I started to build new leads using MailingBoss about 6 months ago, but quit after a while because the delivery rates (open rates) were so bad, around 5%, while I can get at least 50% using exactly the same method with other email marketing service providers such as AWeber and GetResponse. I built up to 360 subscribers using MailingBoss. At the best time 18 people opened my email, and at the worst time only 4 people opened it. I repeatedly sent a test email campaign to myself (regular email as well as sequence/autoresponder emails). Unfortunately all of them arrived in my spam folder. Deliverability is the most important, most crucial element when you choose an email marketing service provider. I decided it wasn't worth carrying on. The video creator is only available for "Digital Marketing" plan $29.90 per month or above. It's fun. The library has plenty of background, animated characters to add, text, images, sound effect and so on. You can add your own video and add these characters and edit it using the video creator before exporting it or embedding it to your website. "Text To Speech" is another feature that's supposed to be great but not maintained properly. You just type in text, and it reads out for you in various voice types. 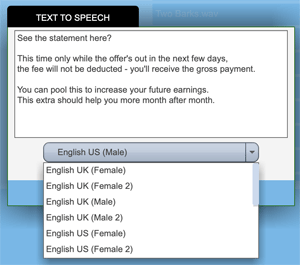 "English UK male" voice is a freakishly high pitched, "English UK male 2" is a female voice, "English US male" is a female voice with strong Mexican-Spanish accent, and so on... They can't be serious! Apart from that, it's not too bad (!) You can export the finished video to your hard drive, means you can use it for YouTube, Facebook and other platforms too. Design Studio is another set of photos or illustrations with a frame (or two frames) inside, where you can embed your own image or video. Below is an example; I picked a illustration of a home office with iMac on the desk where you can embed either an image or a video clip. I uploaded a short video of my dog, download it back to me hard drive, then I put it up on YouTube. The whole process didn't take 10 minutes. It's certainly not a necessary feature for internet marketing, but it makes a little bit of difference, handy and quick. There are also "Presentation Builder" and "Photo Studio". Presentation Builder is essentially Powerpoint, only not as good as Powerpoint. Whereas Photo Studio is in working progress (or abandoned!) - it only contains random photo stock and nothing else. BuilderAll has the "annoying but effective" browser notification to inform users of promotion, event and offers. Setting up is easy by adding a code to the header of your site, and it allows you to either send a notification instantly, or schedule it. This is a pretty decent SEO report tool, instantly give you all the information you need to make your webpage optimized based on the keyword, in order to improve your search engine visibility results. As you can see it gives you the total of 36 quick analysis results with a checkbox. So you can go through the boxes that are unchecked, go back to the page and fix the problems. Run the report again until all the boxes are checked. 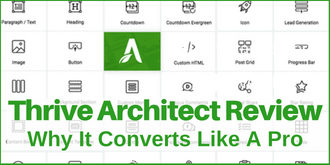 Great thing is that you can run a report of not only BuilderAll pages but any URL's, even your competitors webpages. Although I find this feature extremely useful, if I compare it to Yoast for WordPress for example, BuilderAll's SEO report doesn't save the pages. You need to insert URL and the keyword every time you want to check a page. Click Map (Head Map) is great to track where users clicked within your pages so you know which areas of your layout draw attention the most. So you'll know the best place to place your CTA button to increase conversion. ...Great if it works. I've tried it many times on my BuilderAll site and unfortunately it returns as error. Setting up is supposed to be easy - insert the code in <head> section of the page. This is another great feature that allows you to create a cellphone app so that you can let your customers know of your business information, discount sales, events, booking etc. via push notifications. It allows you to add a newswall, social media links (Facebook page and Twitter), Shopify link, audio/video files, RSS feed, code scan, and many more. I found it fairly easy to build. And being part of the monthly fee (not available with "Web Presence" plan $9.90 per month), the app is third-party ads free, unlike other free app creators. Definitely a good option for a business owner. Each time you refer "Digital Marketing" plan or "BuilderAll Business" plan to others, you'll receive 30% commission. It means you can actually build a website using BuilderAll to promote itself - it's always the best way to promote a product that you know inside out. You can either create one website that's entirely dedicated to the promotion of BuilderAll, or build a site for multiple affiliate marketing platform and drive your visitors to your BuilderAll sales funnel. There's plenty of video tutorials, throughout the modules. However there's no help in text format, which I personally don't like. I know many people find audio/visual instructions more comprehensive than text instructions. But this meant that every time I needed a quick guidance or just to find out a terminology, I had to be in a quiet environment (switch off the radio, for example). You can also send a support ticket. It took over 24 hours to get my question answered, so it wasn't great. I wish there was a live chat where you could ask some basic questions, but there isn't right now. BuilderAll allows you to sign up without giving out your credit card information. 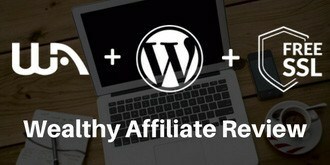 I think this is excellent - it means you can build your first website (or as many websites as you like) without spending a penny. 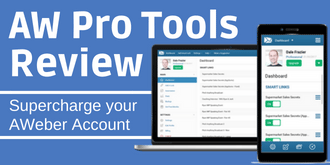 Great for brand new internet marketers who on a tight budget, because you'll likely to need a lot of tools in the beginning, but they're all in one platform, AND they can all be used at no cost! Drag & drop website builder is easy to use. Many tools in one, means you'll save a lot of money. SEO on-page report is extremely useful. Design studio & animated video creator are fun. Bad navigation / lack of consistency in format. Many video tutorial but lack of support. No live chat. No WordPress - cannot transfer out the site. I admire the fact that BuilderAll offers so many essential online marketing toolkits in one platform - as the name suggests. Perhaps too many, and some of them don't seem to be looked after too well. But considering the web hosting fee that's inclusive, I think the "Digital Marketing Plan" is worth spending money for. You can sign up with BuilderAll for free, no credit card is required. 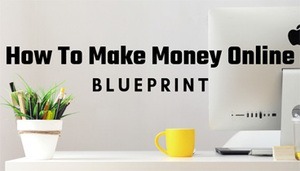 As I mentioned above, it's ideal for new internet marketers who are on a tight budget because all the tools can be used without spending a dime. So I suggest that you sign up, try building your website, monitor your SEO level by using the tool, create videos and cell phone apps. It should help you build up your marketing strategies.